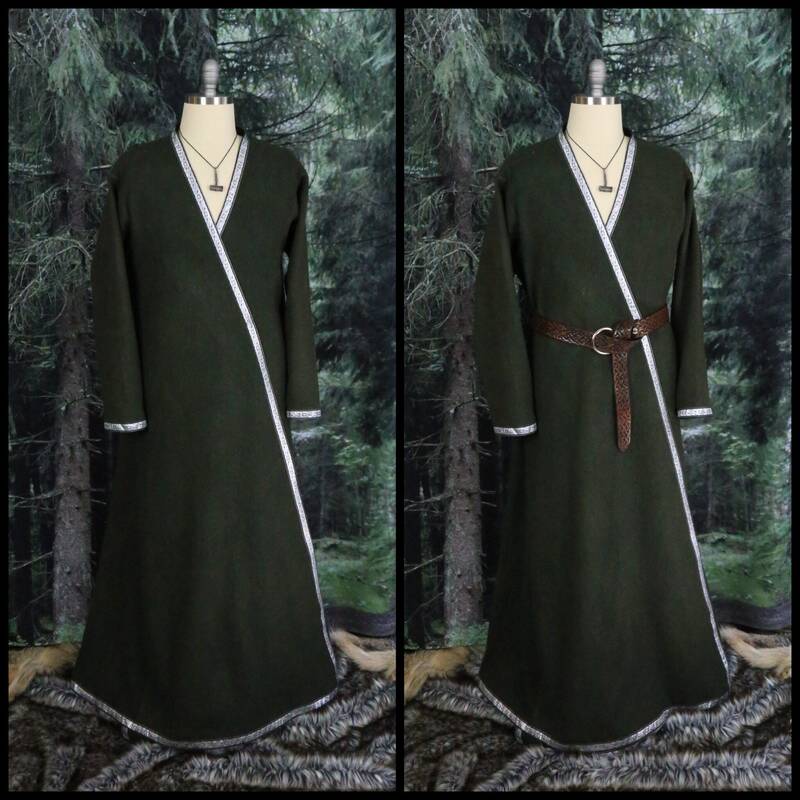 These beautiful wool Klappenrock aka Viking Coat or Kaftan is made to order, customized to your measurements! 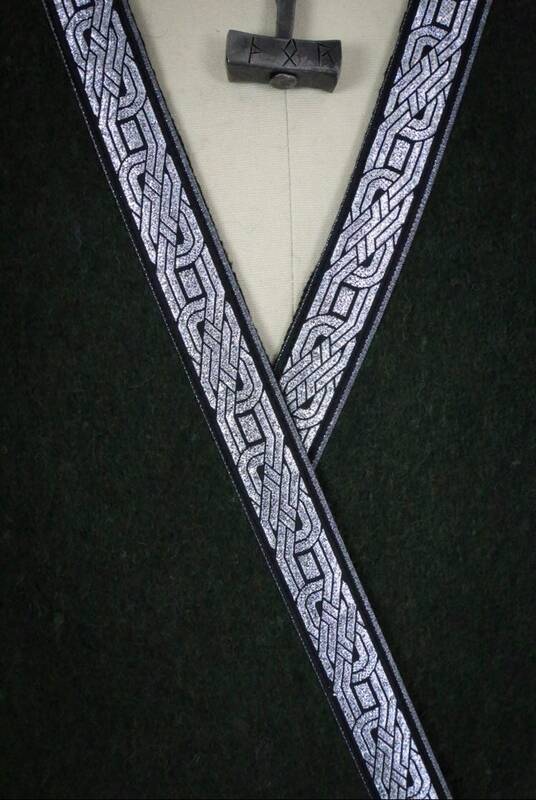 This Klappenrock is created from a historically accurate pattern, based off findings in Haithabu (Hedby) an important Viking age trading settlement. 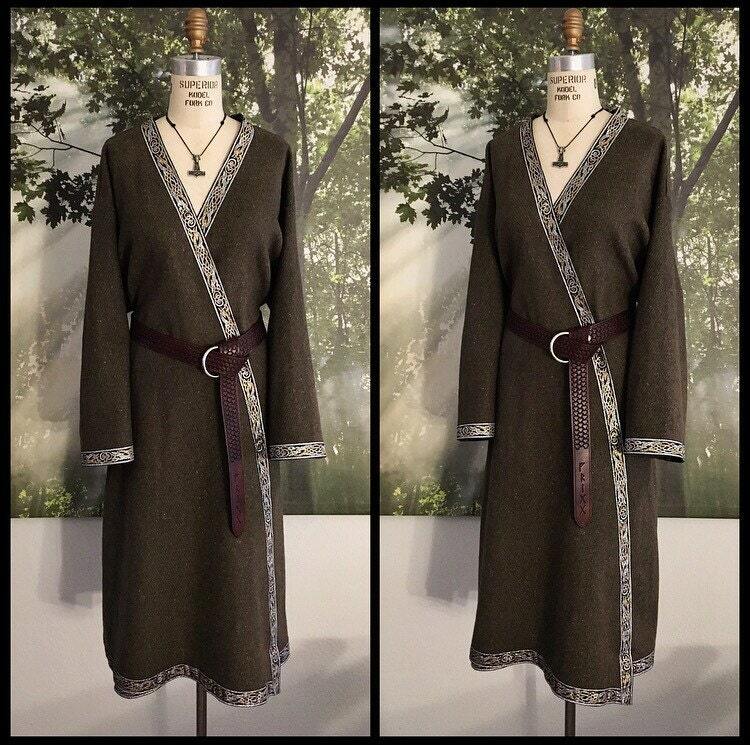 Perfect for SCA, LARP, Renaissance Faire and various reenactment events. 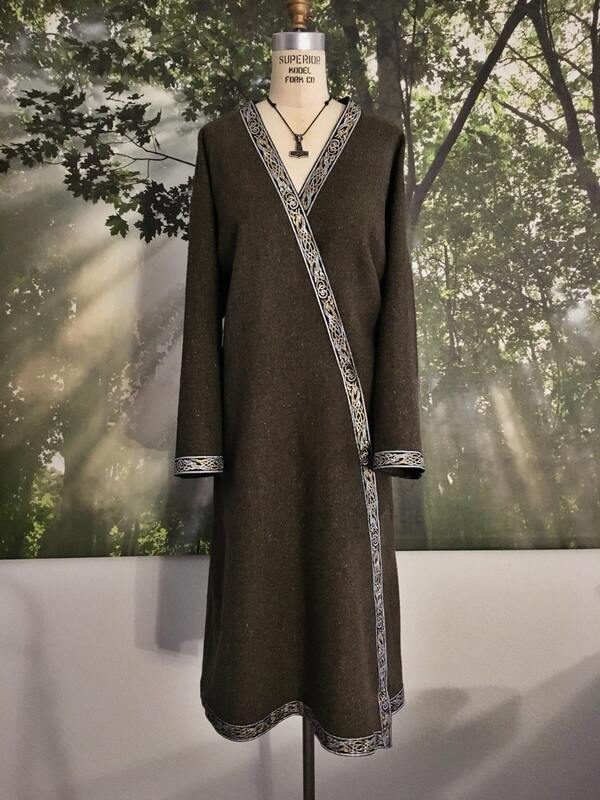 Perfect for layering over tunics, trousers or dresses. This Klappenrock features an overlapping robe-style front opening. Has a relaxed, loose fit to it that can be brought in with a waist cincher or a belt. The fit of the pattern can be adjusted to your preferences. You have the choice of long or short sleeves as well. Linen is pre-washed and can be machine washed. Hang drying is recommended to allow for the longest lasting garment. All seams are aesthetically and professionally finished. Inside seams are machine serged and pressed flat. All of my wool is at least 70% pure wool. 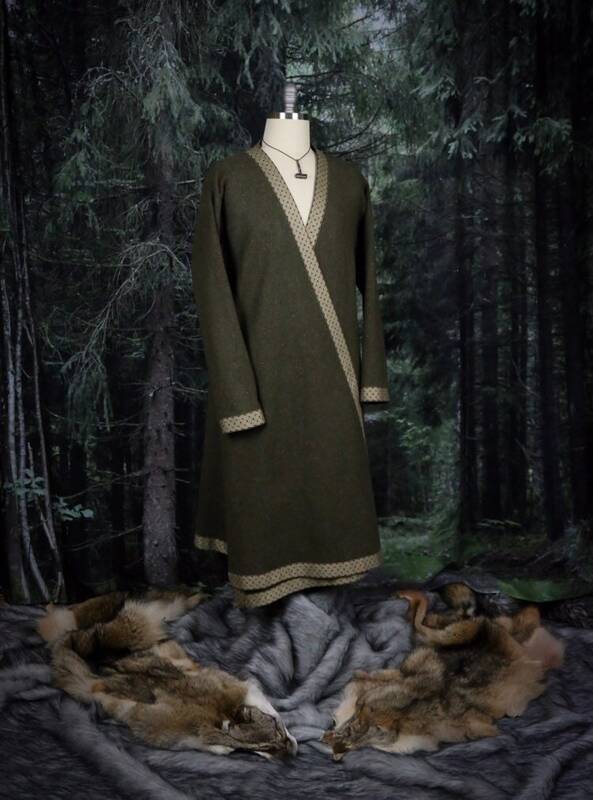 Offered in Steel Gray, Coal Black, Moss Green and Fern Green wool. All wool is a very sturdy, thick and durable yet soft material. 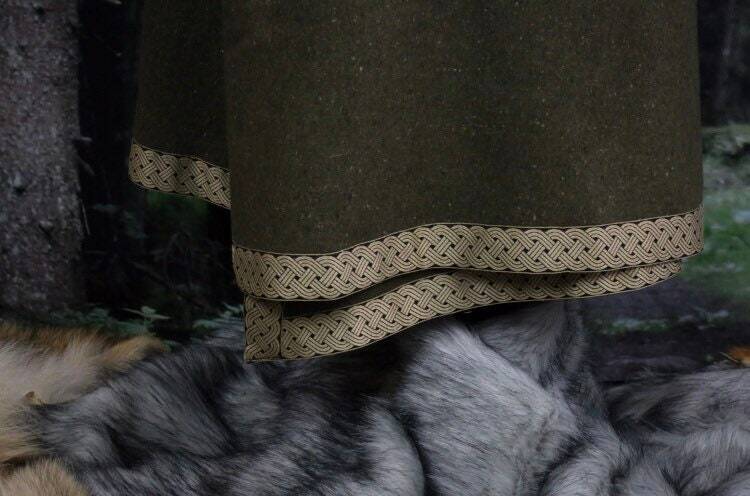 It is considered to be an outdoor/outerwear material. 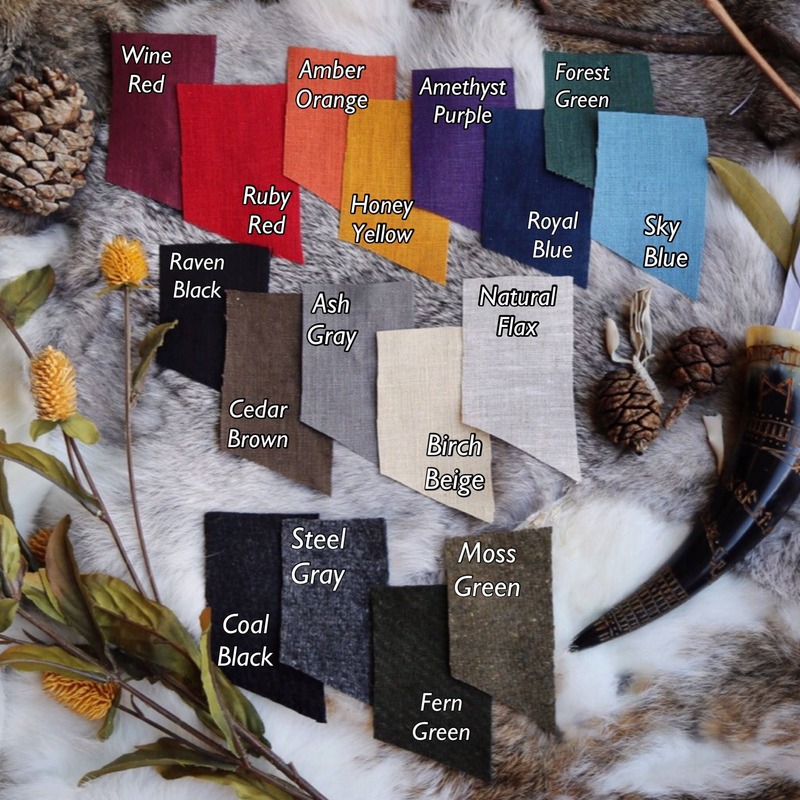 Please note that this particular wool is hand dyed and a natural material therefore the color lots may vary and not always be the same for return customers! Machine washing the wool options on cold & delicate before wearing under light clothing is recommended to remove any residual dyes. Hang drying is always recommended. 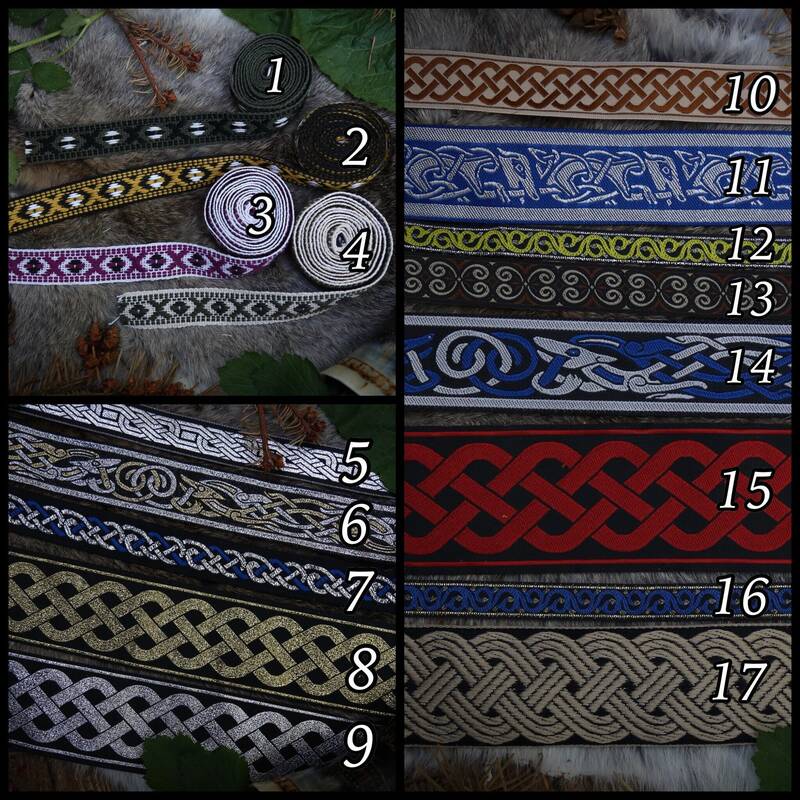 You have 17 different trim options - please refer to photo and select corresponding number from drop down. This Klappenrock is designed and sewn by a professional seamstress. Please note this listing is only for Klappenrock. 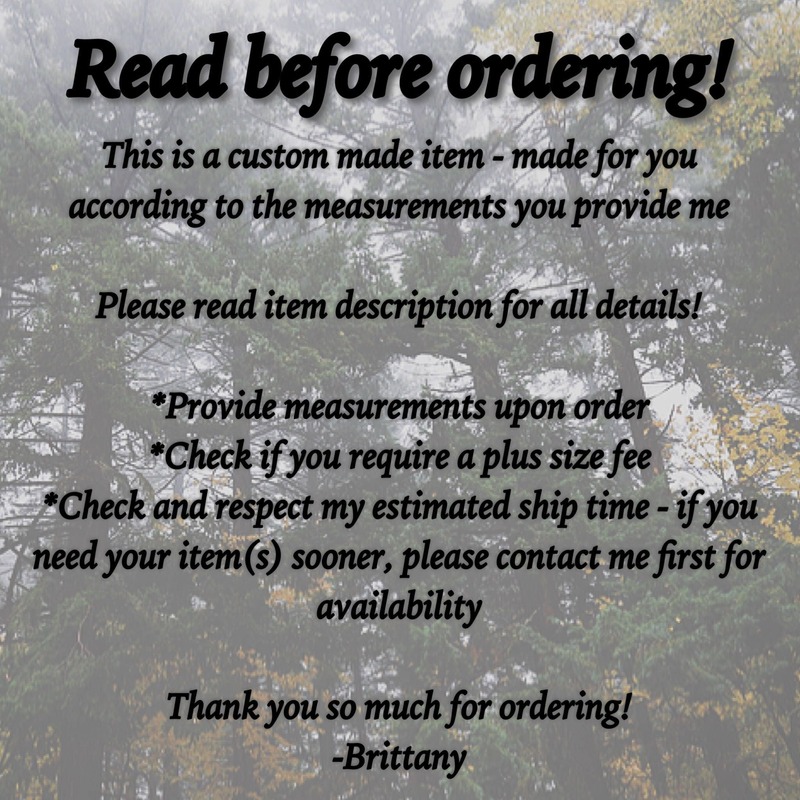 Please have measurements specified upon order so I can start on your item right away. Take all measurements tight to the body with no slack in the measuring tape, I will add extra inches so there is a roomy fit unless otherwise specified. Contact me if you need any help with measurements! Also please indicate how roomy you would like your garment to be. If you already have a similar style dress or non-stretch garment that fits just as you'd like this one to, you can provide those measurements as well. If so, please indicate that the measurements you're providing is from a garment and not from your body!